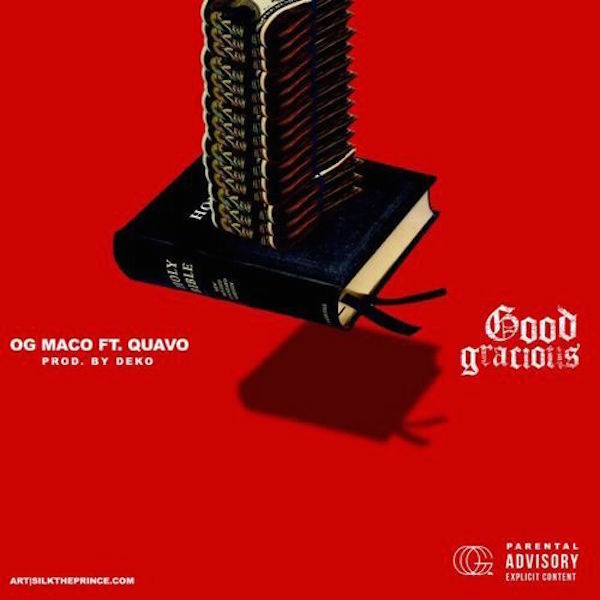 OG Maco ft. Quavo - "Good Gracious"
The moody, capital-r Romantic piano sample that leads off “Good Gracious” belies the generally upbeat theme of the song—gratitude. OG Maco and Migos’ Quavo have teamed up for the low-key track, which traces just how far they’ve come, while describing exactly what they were so eager to leave behind. It’s not a pretty picture; the young rappers, touching on many very relevant political issues, lament their potential fates behind bars (“modern day slavery”), or shot by a cop (“n****s get shot every day”). The duo paint a picture of their success that’s as much about where they’ve come from as it is about where they’re going.